At any high-quality hockey game, pucks flying into the crowd at great speeds are a common occurrence. Injuries to fans occasionally happen. Only once in the long history of the NHL has a spectator been killed as a result of being struck by a puck. 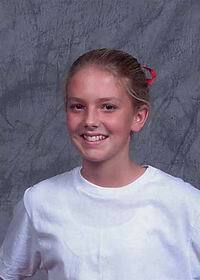 The victim was Brittanie Cecil, who ironically had been given her ticket to the game as an early 14th birthday present. Brittanie, an athletic girl from West Alexandria, OH, was watching the Columbus Blue Jackets play the Calgary Flames at Columbus' Nationwide Arena on March 16, 2002. A slapshot by the Blue Jackets' Espen Knutsen was deflected by the Flames' Derek Morris. It went over the glass behind the net, striking Brittanie in the left temple. Play carried on as the players were unaware of having inadvertently caused any serious injury. Although Brittanie had suffered a skull fracture, she walked on her own power to a first-aid station before being taken to Columbus Children's Hospital in an ambulance. Her only visible injury was a gash on her forehead. At the hospital, she suffered an initial seizure and was admitted, but the next day she appeared to be recovering. Brittanie was both communicative and ambulatory, and had no complaints of pain or dizziness. A CT-scan, however, had failed to catch a torn vertebral artery, resulting in severe clotting and swelling of the brain. On March 18, she developed a high fever and lost consciousness. She died nearly 48 hours after being struck, at 5:15 p.m. on March 18, 2002, two days before her 14th birthday. Brittanie's funeral cortege drew a procession of more than 150 cars. Attending the service was Blue Jackets' general manager Doug MacLean who spoke on behalf of the team. Knutsen and Morris, the two players who combined for the fatal slapshot, expressed remorse following Brittanie's death. Morris, who deflected the puck, explained, "You try to say, 'It happens all the time,' but you can't. I don't know how many times pucks get deflected over the glass, but it doesn't make it any better. You can always say, 'It's not my fault,' but you always feel like it is, a little." Knutsen was given the option of sitting out the next game by Blue Jackets coach Dave King. He chose to play, telling reporters, "I think about it all the time. It was a terrible accident, and I cannot get it off my mind." Knutsen was so shaken by what had happened that he could not handle meeting Brittanie's family until 2010--eight years after the accident. The following season, the NHL mandated that safety netting be installed in every arena to protect spectators seated behind the goal nets. This move was initially greeted with hostility by longtime hockey fans who didn't want their view of games obstructed and who further perceived the netting as an overreaction to a freak accident.